Have you known a new era of human intelligence has come? This is about it. There are hundreds of blockchain and cryptocurrency centric blogs out there, varying in levels of quality. Yet, one aspect they all have in common is their overuse of the word “disruption.” Yes, we get it. The economy is changing and this technology will forever influence the market. But very few actually go into the details of what this actually means. Well today, we’re putting an end to that trend. Using nothing more than cold, hard evidence, we’ll discuss YouToken’s market overview, value proposition and what the state of crowdfunding will look like in the years to come. 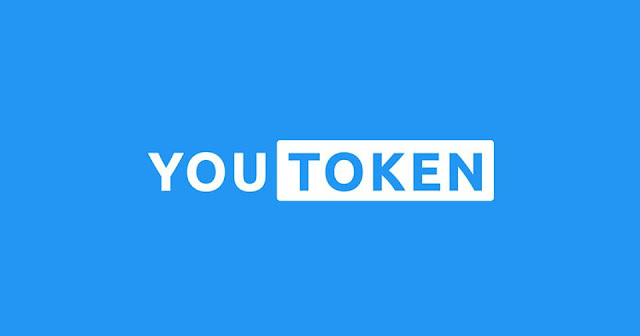 The easiest way to describe YouToken’s current place in the market is to picture three separate streams. These are symbolized. A while, these three markets flowed in separate paths but recently, they’ve all conjoined together at one, beautiful intersection. YouToken finds itself right in the middle of this intersection. As a result, we aim to combine the various qualities of these three markets into one, powerful platform. Talk about “disruption” earlier on in the article? Well, we’re about to talk about it again but unlike so many others, we’re going to describe exactly how we attempt to disrupt the crowdfunding industry. That is our main goal by the way and we will achieve it by using the opportunities of blockchain technology and the growing FinTech industry( online trading/investments.) Using these tools, we want to simplify the investing process while simultaneously capitalizing on entrepreneurs at the early stage of their success. Speaking of these entrepreneurs, let’s narrow that down to a very specific kind of entrepreneur. The disadvantaged entrepreneur is our main target and here’s why. According to a study by Sarah Drakopoulou and Janroj Keles, successful entrepreneurs get to the top due to “strong network processes and network structures” and receiving “multiple benefits from warm and trusting interaction with a range of other people.” Disadvantaged entrepreneurs on the other hand “typically lack access to some or all of these positive networking outcomes, due to the scarcity of resources at their disposal” (financial, social and human capital). Using that logic, we want to attract disadvantaged creators at the early stage of their idea who the don’t have access to other crowdfunding or investment opportunities that are necessary for success. To coincide with that, we also plan to attract and increase the number of investors/traders/ backers who already have some experience in the financial market/traditional crowdfunding but don’t have access to “human intelligence” investment opportunities. Hence, by combining these two groups, we hope to create a formulaic outcome that’s beneficial to everyone. Hard facts earlier and now we will deliver. Let’s start off with the cryptocurrency and blockchain market. In case you haven’t noticed, it’s booming at every level. It’s not the slowing down either. By 2024, the worldwide blockchain market is expected to be worth over $20 billion. Do you want even more facts to support that fact. There were just 26,885 projects on in 2016. As of today, there are over than 87,000 (Deloitte). You can see, the market is expanding in a monumental way. To make a comparison, you could say blockchain is where the internet was 20 years ago. Just .5% of the world uses blockchain technology today yet 50% (3.77 billion) use the internet. This is a huge, untapped audience and YouToken plans to open the blockchain market to these people. Therefore, by bringing early-stage entrepreneurs to our platform and providing them with funding and community support, we are effectively bringing more people to the market and helping to raise awareness for this technology. According to data from Statista.com, the transaction value in crowdfunding is expected to grow at a rate of 29% from 2018–2022. This results in a total amount of $25,919 million USD. The number of individual crowdfunding campaigns is expected to grow from 178,500 in 2017 to 216,230 in the U.S. by 2020. The total worldwide annual number of entrepreneurs (campaigns) — is expected to be at a level of 2,260,230 by 2020. According to estimated data from the World Bank, there are up to 344 million households in the developing world that are able to make small, crowdfunding-based investments in community businesses. Crowdfunding is a powerful tool on its own. It’s a method that can help fuel the “rise of the rest” around the world. Traditional platforms like Kickstarter, IndieGoGo and more provide new opportunities for entrepreneurs to receive funding all over the world. Hence, YouToken is going to leverage this growth and improve upon the crowdfunding industry using three, unique techniques and all. Focusing on the personality and intellect of the entrepreneur and not just their product. Establishing a connection between “old school” business initiatives and the “new wave” possibilities of blockchain technology. With this philosophy and the mathematical evidence to back it up, YouToken sees no reason why it can’t lead the charge in the new era of crowdfunding. There is an entire mine of the undiscovered assets out there. Until now, there was no way to capitalize on this human intelligence and convert it into something of value that benefits the world. images and clips, this site could certainly be one of the most beneficial in its field.